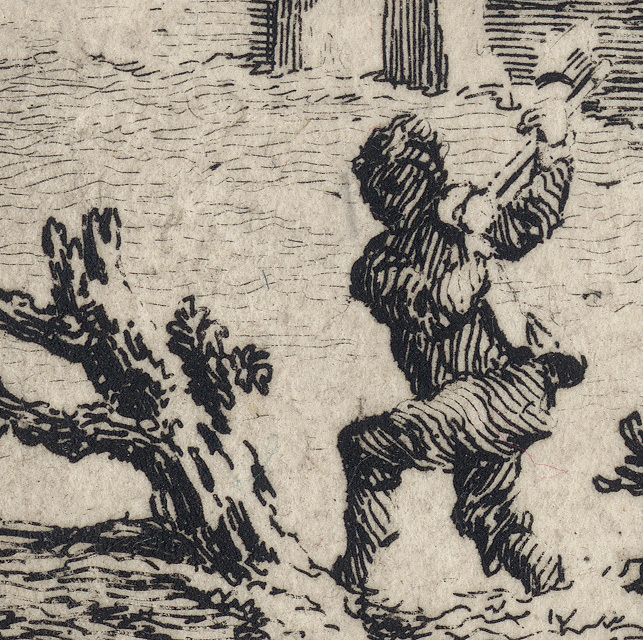 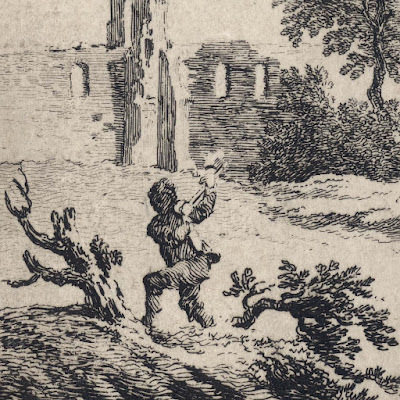 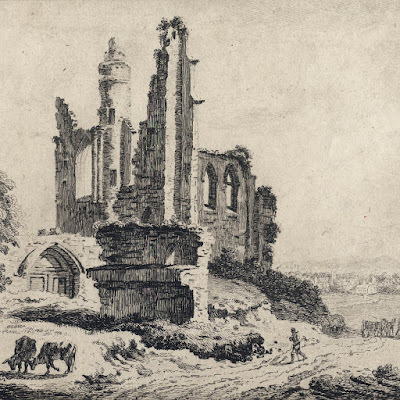 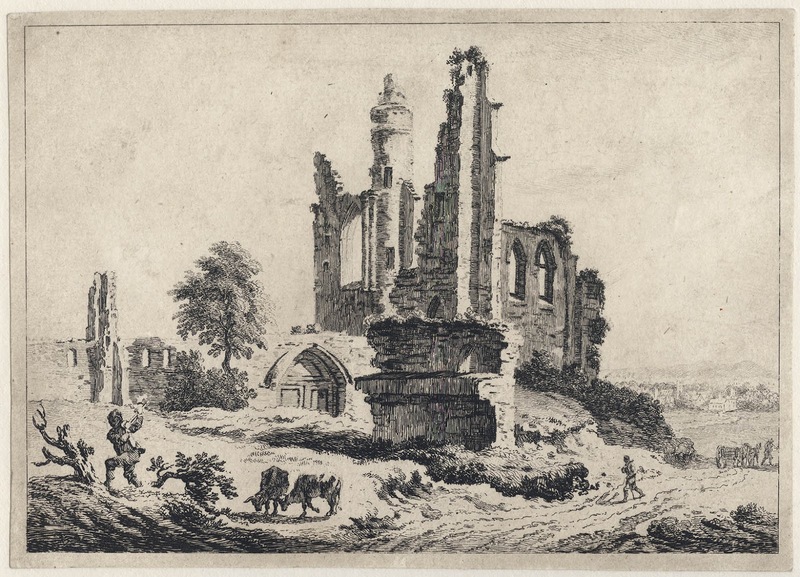 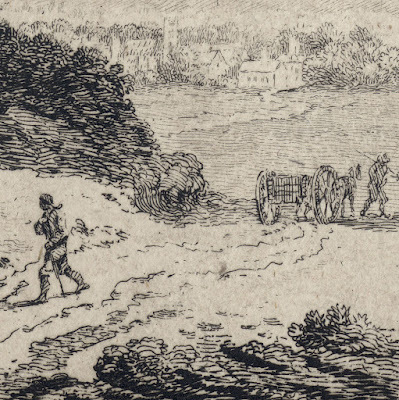 “Ruined Abbey with Cattle and a Man Chopping Wood”, 1758, from a series of six etchings. 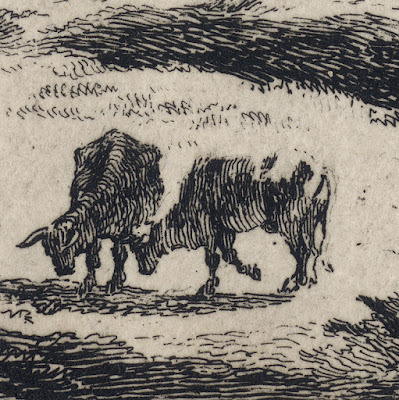 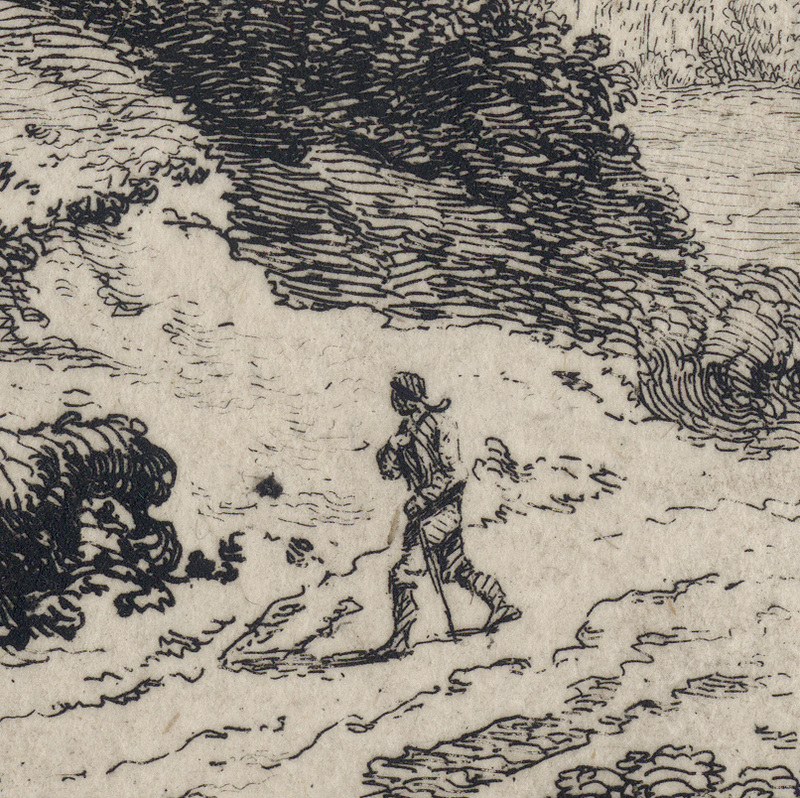 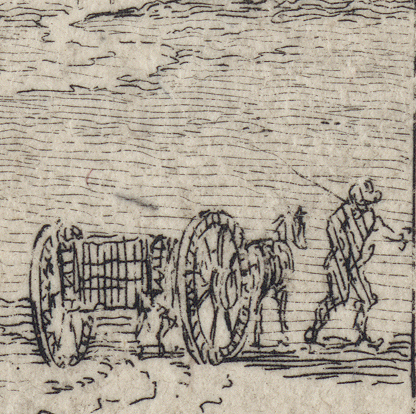 Etching (unsigned) on heavy laid paper trimmed with a small margin around the image borderline, backed with a support sheet. Proof before the addition of horizontal lines in the sky and added marks to the shadow area towards the lower left corner. 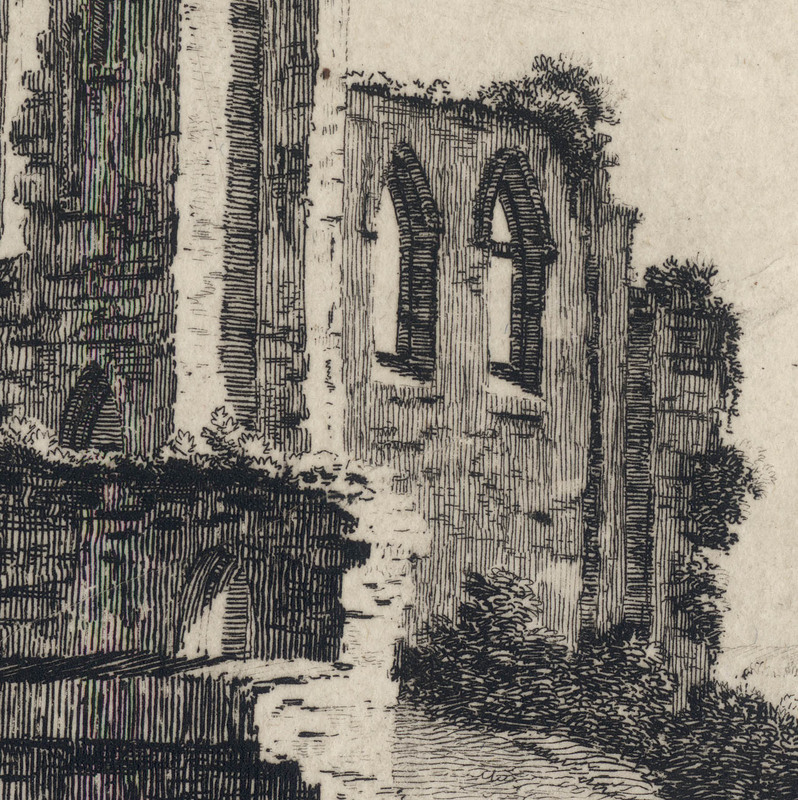 Condition: richly inked and well-printed impression with light signs of use (i.e. minor abrasions, a flattened fold on the right side and superficial marks) and laid upon a support sheet of archival (millennium quality) washi paper. 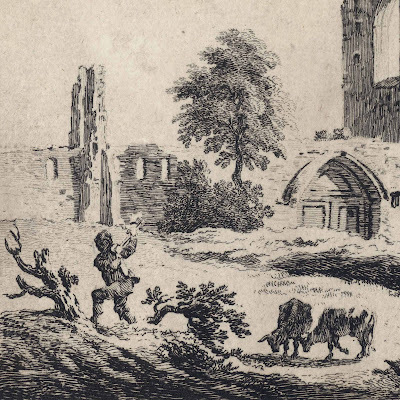 I am selling this jewel-like glowing etching by “the father of English watercolour” revealing Sandby’s romantic interest in ruins—especially those festooned with plants as shown here—and the everyday activities of rural folk (viz. chopping down trees, trekking around the countryside with a staff and hauling wagons to an undisclosed destination), for AU$180 (currently US$129.28/EUR113.35/GBP97.88 at the time of posting this listing) including postage and handling to anywhere in the world (but not, of course, any import duties/taxes imposed by some countries). If you are interested in purchasing this graphically strong composition by the first printmaker to create an aquatint, please contact me (oz_jim@printsandprinciples.com) and I will send you a PayPal invoice to make the payment easy.